Brilliant Green 2% Bile Broth Isolation of coliform bacteria. World famous BBL and Difco Dehydrated Culture Media from BD Diagnostics. Between the two brands BD Diagnostics offers over 250 different formulations for food, beverage, dairy, water and wastewater and industrial microbiology, as well as for cosmetics and pharma­ceutical industry testing. Please be sure to ask if what you need is not listed. Also, youre invited to contact us for volume pricing. 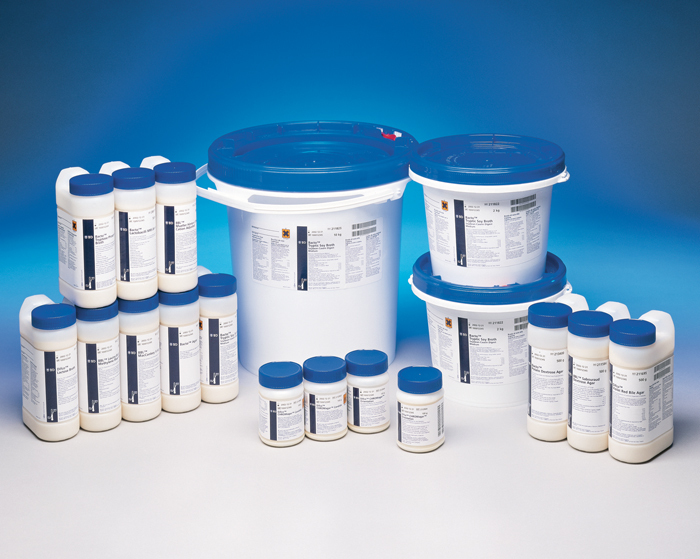 Criterion Dehydrated Culture Media manufactured by Hardy Diagnostics. Criterion is tested to the highest standards: performance, pH, solubility, gel strength and bioburden. It is also certified BSE free. It has been formulated to dissolve quickly for increased solubility. The ergonomic wide-mouth 500 gram jar reduces dust formation by allowing a scoop to easily remove the powder. You can use Criterion products with complete confidence. They offer excellent equivalency and homogeneity. 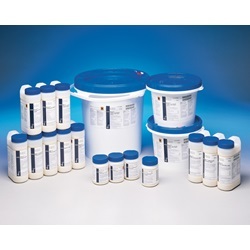 Plus, Criterion offers an outstanding value for dehydrated culture media. Sign in to Buy 3 item(s) available to ship. 3 item(s) available to ship.